You will find Beautiful Handmade Creations at The Bea’s Knees. There is something for everyone! Find the Bea's Knees on: Etsy Google Plus Blog Facebook Are You On Fire for Handmade? The Bea's Knees Is! 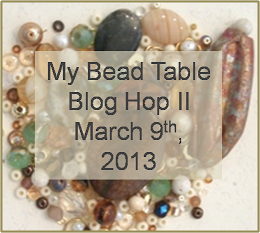 This is my second year participating in the Bead Soup Blog Party, hosted by the amazing Lori Anderson. It's a BIG party...with about 500 people who signed up to be a part of it all. Lori takes the time to pair us all up and we create a "bead soup" for our partner. 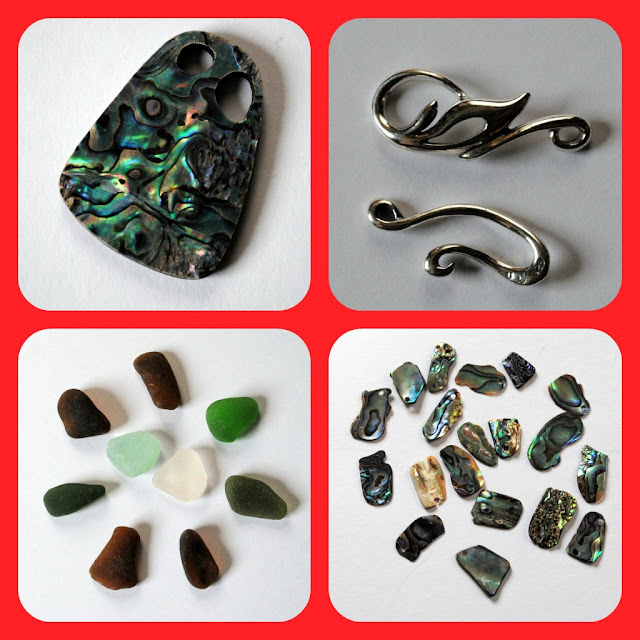 The only requirements are that you send a focal piece and a special clasp. The rest is up to your imagination! 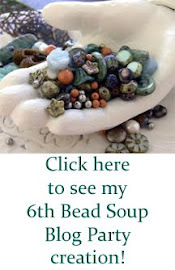 This is my bead soup from last year...my partner was Cynthia (her blog is Antiquity Travelers...she has lots of great posts!) Cynthia sent me some sea glass from Cuba and paua from New Zealand. I was just starting to learn seed beading and my necklaces reflected this. They are still some of my favorite pieces of jewelry! My partner this year is Deana Hagar. I sent her her bead soup last week, and I truly hope she likes it! I'm waiting for my soup to arrive...I'm so excited! 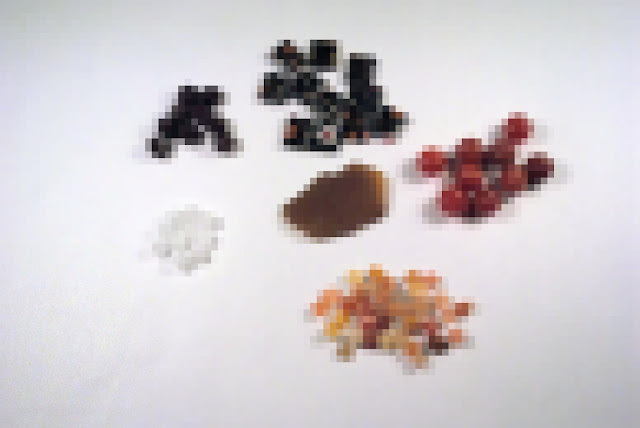 You'll be able to see what I create with my soup on the date of the first reveal, March 30. The other two reveal dates are April 6 and April 13. I was so amazed at the talent and creativity that I got to see last year...it's going to be another great party! Sometimes it's unavoidable. Names evoke mental images. And a huge winter storm deserves a huge name. But we have Winter Storm Nemo. 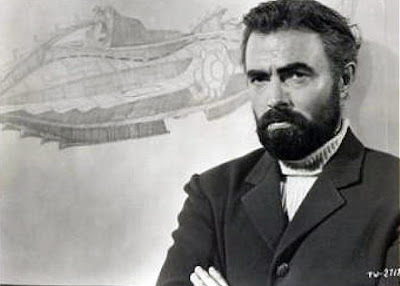 If you are a literary person, then the infamous character named Nemo from "20,000 Leagues Under the Sea" makes a whole lot of sense. Diabolical, cunning and definitly scary. But unfortunatly that Nemo wasn't the first to cross my mind when I heard the name. And it's hard to be in awe when you are thinking of a cute little orange and white fish swimming in a tank waiting for his dad to rescue him. So here's to everyone who is in the middle of this storm...stay warm, stay safe. Our prayers are with you. 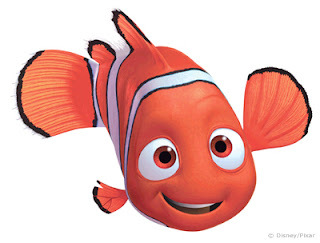 Even in this storm named Nemo. Well, today starts a new chapter in my daughter's life. Today is the first day of her first job. My first job (on the books, anyway) was with the same company my dad worked at. It was a great experience and I got to see him in a different light than just my father. 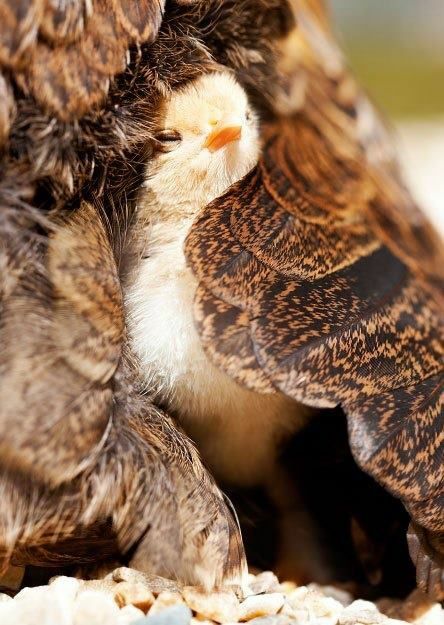 It's time for her to stand on her own without me to hold onto or to have the safety net ready for her. And I know she's ready for this challenge. This Week's Featured Artisan is Cathy Smith Cooley of Caty Ann's Creations! 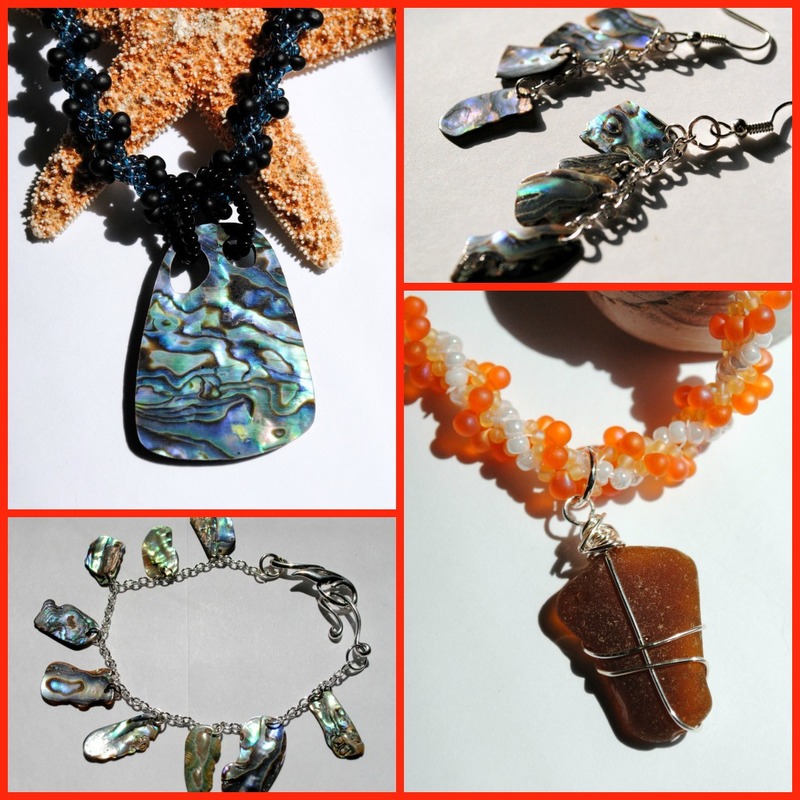 At Caty Ann's Creations you will find quality jewelry at an affordable price! All items are designed and handcrafted by me using semiprecious gemstones, crystals, pearls, lampwork and other quality components Beautiful Creations by a Beautiful Lady! Yep...it's one of those weeks. Enough said. I guess I'm like a lot of people...I have struggled with weight my entire life. And I have decided that this year will be different. Not because I'm starting some fabulous diet or because I have somewhere exciting to go and I want to look great in the pictures. 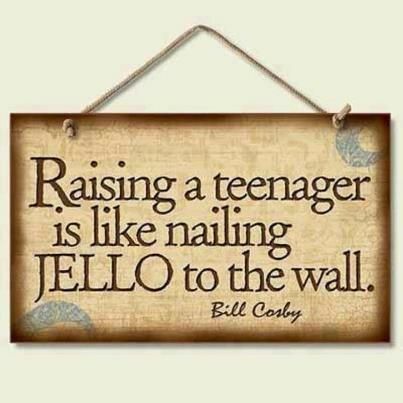 But because my teenage daughter is having some minor body issues and I want to be a good example. Most of the major changes I've been able to make in my life have been because of her. With God's help, I've worked on my anger and frustration and how it comes across to my family. I've become more conscious of what I say and how it sounds to the person hearing it. I've learned to be more gentle with myself and not put unrealistic expectations on myself (or others). So now, since no one learns with the "do as I say, not as I do" principle, it's my turn to step up to the plate in this area. I won't bore you with a running tally of what I'm eating each day, or anything like that. But I hope that this will keep me accountable and as I have progress to report you'll celebrate with me. I know this won't be an overnight change and that this process will be one I will be working on for the rest of my life. But like anything else, you have to start somewhere and this is where my road to being healthy starts!